Searching for the perfect terroir and conditions for viticulture, especially for Pinot Noir, Kai Schubert and Marion Deimling, both being graduates of the German Viticulture and Oenology University in Geisenheim, travelled the world. Their voyage took them to wine regions in France, Germany, Oregon, California, South America and Australia. In New Zealand their quest finally ended and they settled in Martinborough in the Wairarapa Valley founding Schubert Wines; a unique place producing low yields in the vineyards with excellent quality grapes resulting in internationally award winning wines with intense and complex character which are exported to 36 countries. 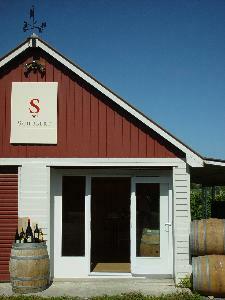 Schubert Wines is an organic boutique winery in the heart of Martinborough. Our intimate tasting room features exceptional Pinot Noirs along with other notable wines. Kai & Marion graduated from Geisenheim University, Germany and have been producing world class wines in New Zealand since 1999.